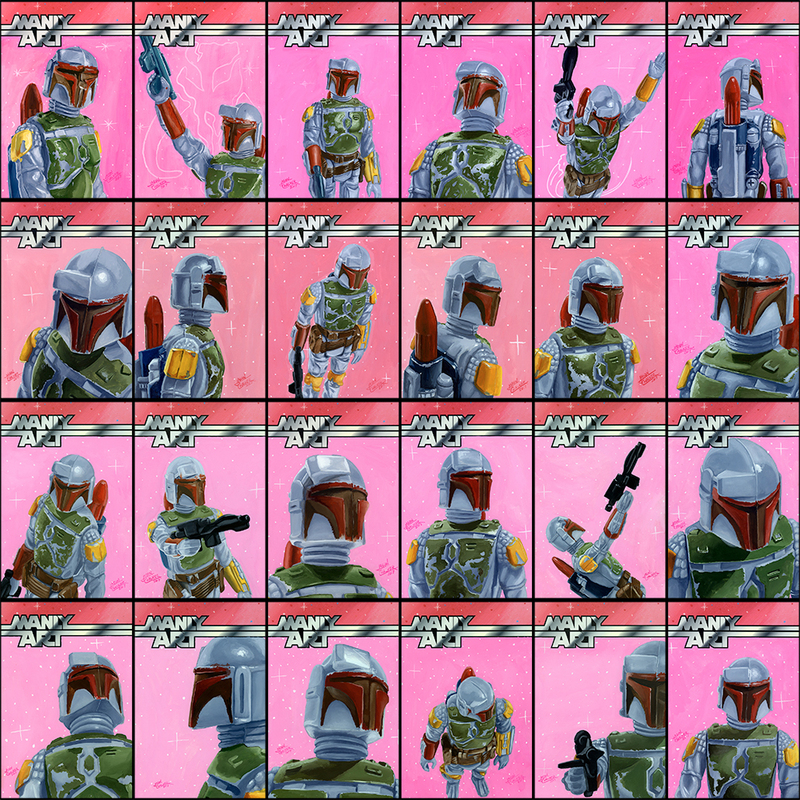 24 painted card back portraits of the original Kenner Boba Fett action figure. 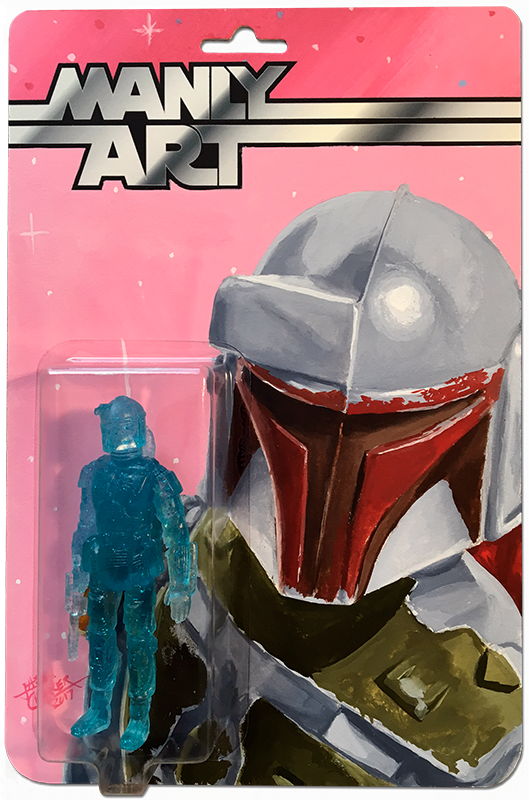 These were done for DKE Toys and sold at the 2017 San Diego Comic-Con. They sold out by day 3 of the show.